The classic, bestselling reference on architecture now revised and expanded! 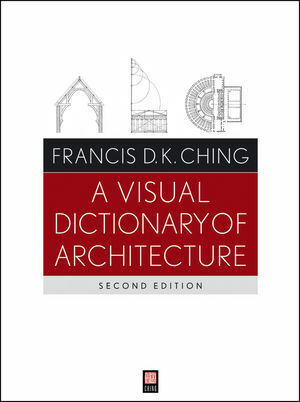 An essential one-volume reference of architectural topics using Francis D.K. Ching's signature presentation. It is the only dictionary that provides concise, accurate definitions illustrated with finely detailed, hand-rendered drawings. From Arch to Wood, every concept, technology, material and detail important to architects and designers are presented in Ching's unique style. Francis D.K. Ching is Professor Emeritus of Architecture at the University of Washington. He is the author or coauthor of numerous architecture and design books, including Architectural Graphics; Architecture: Form, Space, and Order; A Global History of Architecture; Interior Design Illustrated; and Building Construction Illustrated, all from Wiley.